I have to give a huge thanks for the complete badass Gabby (www.fashiongabbs.com) and Landen from @GenkiPhotos for featuring my products and my studio!
" Last week on 'Design Spotlight', I gabbed about a woman who turns recycled fabrics into decorative plant vessels. Continuing the theme of being environmentally conscientious, I've had the pleasure of befriending another beautiful soul who is all about rain forest conservation through the art of herbal body care. This gorgeous babe above is Dana Cutolo and she is a master of alchemy - literally! She graduated from the Arbor Vitae School of Traditional Medicine in NYC with a passion for medicinal herbs and a knack for applying the properties into skin care and beauty treatments. Her interest in ethnobotany flourished during her study abroad through a different college she attended, Stony Brook University. She was sent to Madagascar and stayed at the research and conservation center, Centre ValBio. Dana's knowledge on medical plants expanded after graduating from Arbor Vitae when she returned to Kianjavato, Madagascar to take on a reforesting project, working with the local Ombiasa. Among the tribe is a Malagasay shaman (natural doctor) who Dana worked closely with in documenting the medical plants while further understanding the importance of rain forest conservation and it’s root causes, especially in impoverished regions. A year after she left Kianjavato Dana went to a town called Ranomafana and a couple of her friends and community members were inspired to resurrect their family business of making essential oils. With a business concept like this, one can employ many community members and make a sizeable impact on rain forest protection! Along with her professor, they came up with the funds for an essential oil machine and that's when Dana whipped up her first set of body care products, using original essential oils from the region; Geranium, Calendula Body Oil, Ravintsara, and Lemon Body Oil. Since then for almost two years, Dana has built her brand Ny’Ala from trying out recipes, developing her labels and website, branding and getting out into the community; all the while supporting the local farmers/developers in Ranomafana. 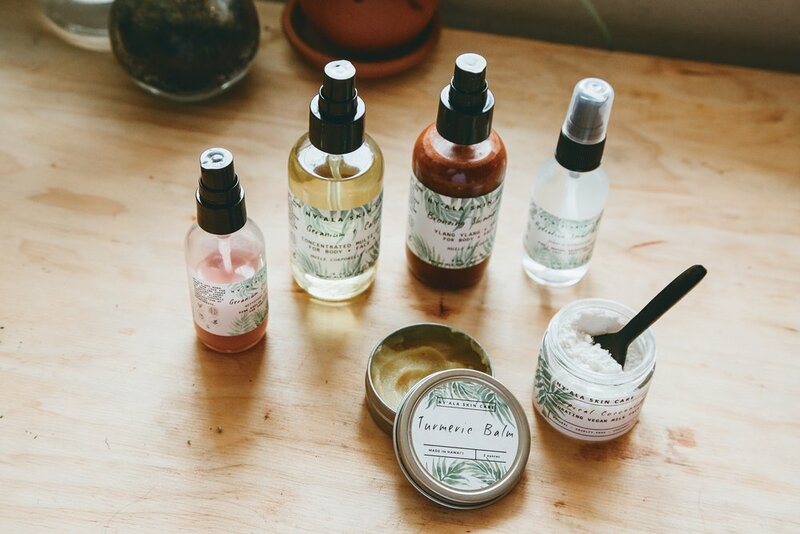 Dana started Ny'Ala with one main goal; to continue utilizing sustainable locally made ingredients for effective skin + beauty treatments, while promoting sustainability. Even her glass bottles are reusable as you can easily remove the sticker once you've finished the product. 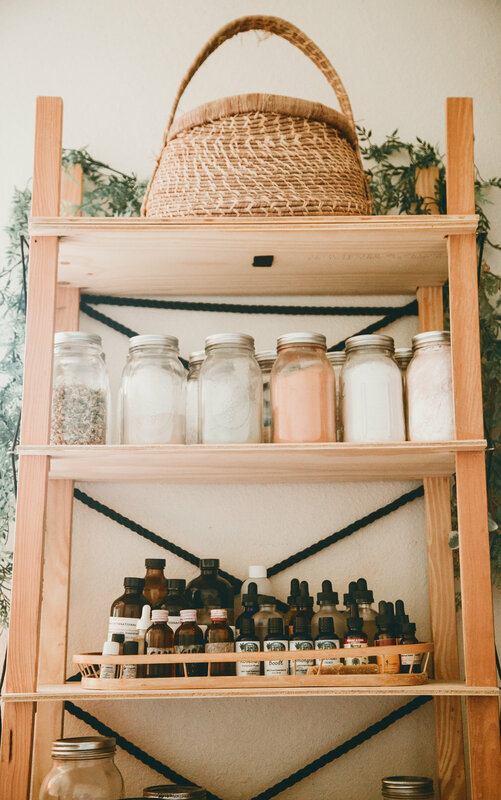 Prior to her studies at Arbor Vitae, Dana's initial interested in medicinal herbs sprouted in high school while working at a local health food store – seeing at all the tinctures, essences, herbs and plant remedies piqued her creativity. 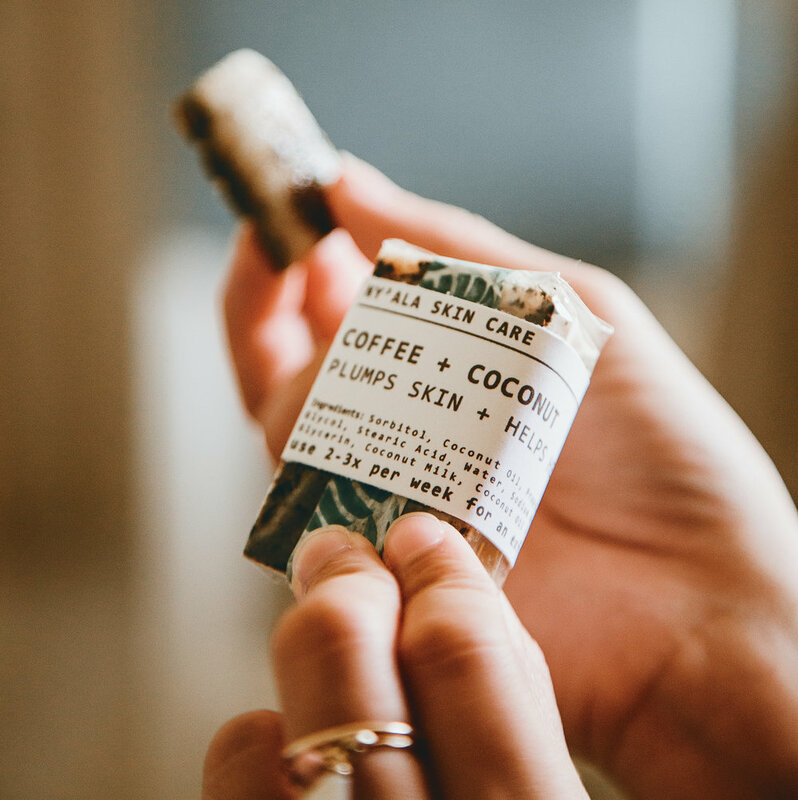 At that time, Dana was dealing with personal cosmetic and product allergies and figured that she might as well take products from the shop she worked at to create her own remedies. - Cannabis Serum to moisturize, cleanse and heal the inflammation of sensitive skin caused by crazy dry flakey breakouts of dermatitis. This was perfect for when my nose dried out from a terrible sinus infection; the eucalyptus she added in helped relieve the pressure in my sinuses. -Coconut Face Mask for moisturizing and exfoliating mask in the summer. All you need is a bit of water to create e thickness t your liking, and then apply with a make up brush! -Turmeric Balm was created for stubborn swollen pimples and painful wrists; the yellow from the turmeric is stunningly vibrant. -Shimmering Bronzer Oil as an alternative to other tanning oils that would end up making skin feel greasy or break out! I wore this during a photoshoot at the Laylow Waikiki, which is perfect as I haven't tanned in a while. Even my booty was nice and bronzy! There are always benefits from using high quality natural ingredient based products, therefore anyone and everyone can use Ny'Ala! Dana is a true believer in that everyone should understand the connection between the products and plants we use, and our environment. 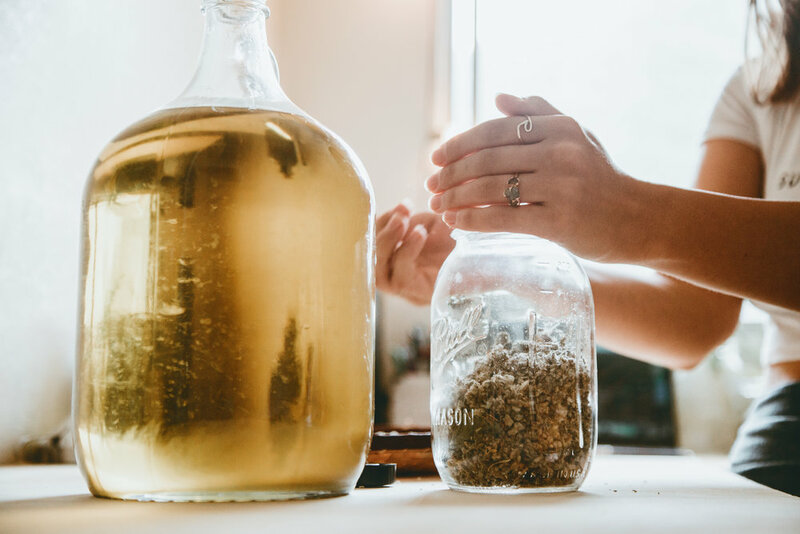 If you're ever interested in learning more about the uses of medicinal plants and how they're beneficial, check out Dana on Instagram as she posts updates for when she does her monthly workshops at Down to Earth. Sometimes you can find her at pop up events like Art + Flea, which she will be attending this August. I actually met Dana at local vendor event in Waikiki and was instantly drawn to her bottles (you know, just me being all about aesthetics). And when I quickly learned her mission and products, I was stoked to write about Dana and spread the word! Also thank you to Landen for accompanying me to this meeting. He was actually getting over a bad cold and felt relief after taking a whiff of one of the Ny'Ala products! Check him out on Instagram as @genkiphotos for awesome portraits and his other creative content. I hope that with this story it'll help spread positive influence to viewers to think more about the products we use today from drug stores and high end brands. I've certainly strayed away from using a lot of well-known brand items, being suspicious about their practices especially. Seeing Dana in her workshop studio sets my mind at ease knowing that she creates her products by hand in an controlled environment. Dana is actually in the works of earning her Esthetician License - so looking forward, you can expect her to include holistic herbal services like facials, lashes and more! "I am so excited to be able to work directly with people on their skin and beauty routines – that’s truly where my happy place is!" Keep up the hustle Dana - you're doing amazing! "